One of my favorite things about my job is that it really challenges me — and I definitely like a good challenge. Since I was a little girl I remember drumming up ideas in my head for go carts made out of my dad’s dolly, to crazy paint schemes for my bedroom and then ignoring everyone who doubted my plan and making it happen anyway. Not always perfectly, not always without major screw-ups along the way, but eventually the idea in my head would come to life. 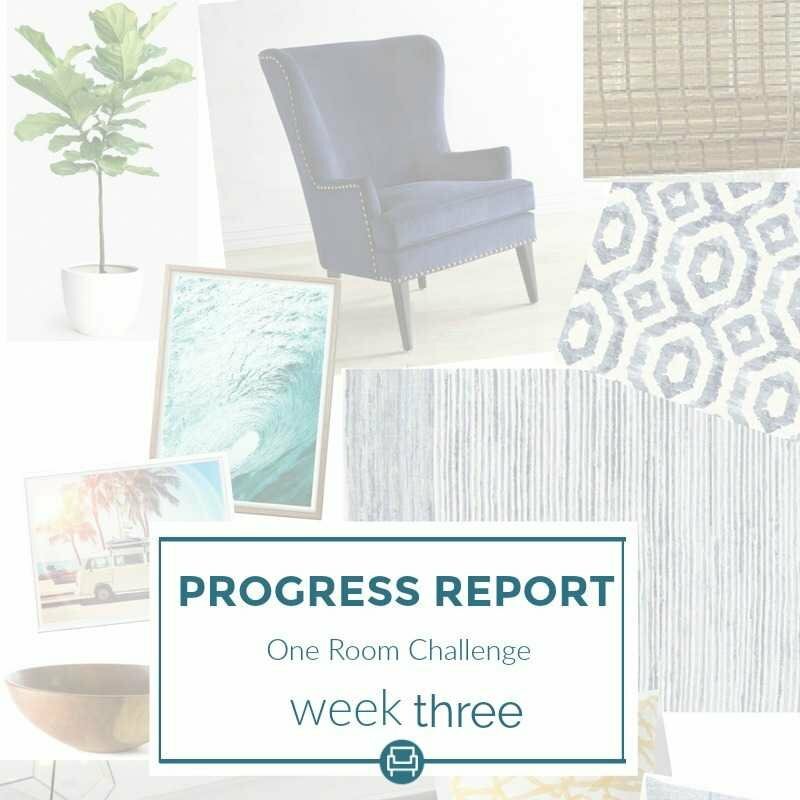 So when I set out to create a built-in in the sitting area I’ve been working on as a guest participant of the One Room Challenge with almost no furniture building experience I was well aware that it was probably going to take longer than I’d anticipated, that there would be a few frustrating mistakes, and I’d have to work in small chunks of time around my mom duties. But that I wasn’t going to let all that hassle get in the way. Eventually I’d have in real life the built-in I’d had in my head for over a year. So we’renow 3 weeks in and I’ve managed to build most of said built-in and really stoked about how it’s turning out! All I’ve got left is trim, calking, and paint! 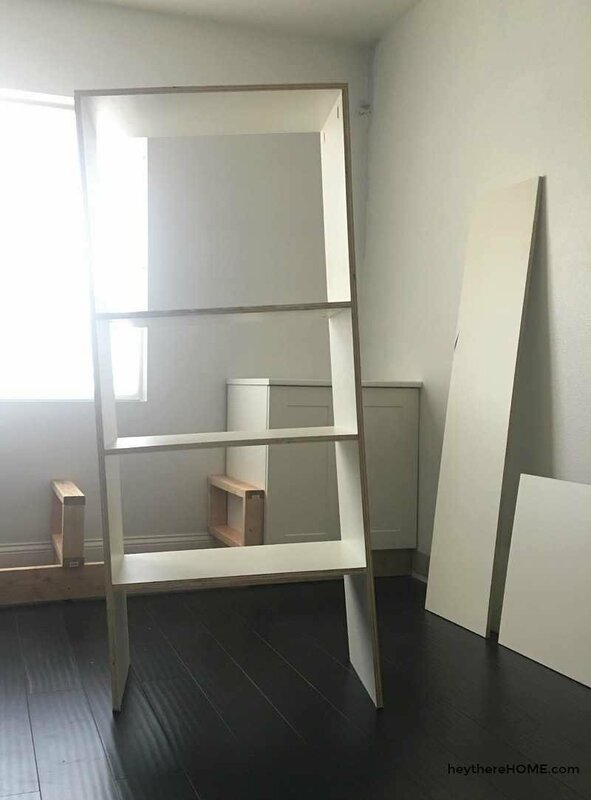 This project has been easier than I thought it would be and if you’re following my Instagram stories you know I’ve made some mistakes like realizing that one side of my shelf was cut 2 inches longer than the other side… oopsey. This week I’ll be working on the finishing touches of the built-in, making a cushion for the bench seat, and making final decisions about the rug and art work that will end up in this space. Better get to it! See ya next week! Thanks Steph! You can definitely do this! Stay tuned for the remaining weeks! Love this! It inspires me to get to the built ins I want!! I get intimidated with, all of it, but I’m just going to do it! 🙂 Thanks for the inspiration and I can’t wait to see the final version! Thanks Holly! Glad to have you along on this challenge! 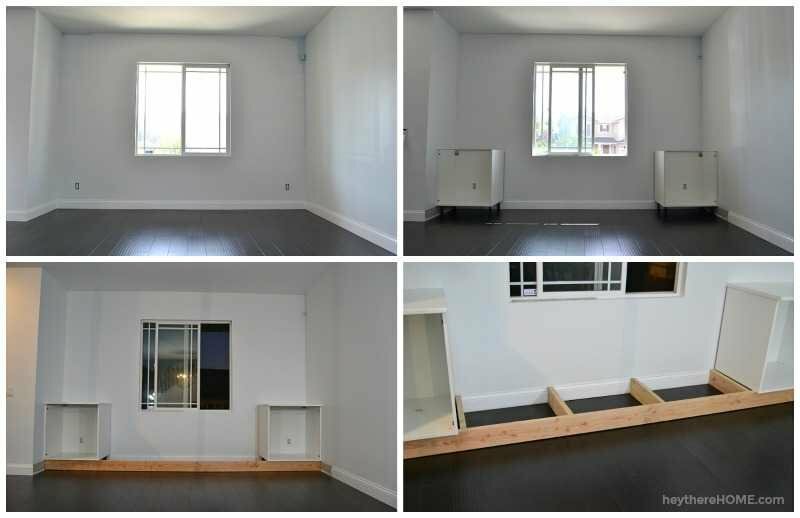 Are those electrical outlets inside the cabinets? For me that is a problem because I would still need access at times. Looks really good! It’s my favorite thing when an idea comes to formation. Still follow your progress week by week. Such a gorgeous thing and can’t wait till it finished. All the best and see ya! 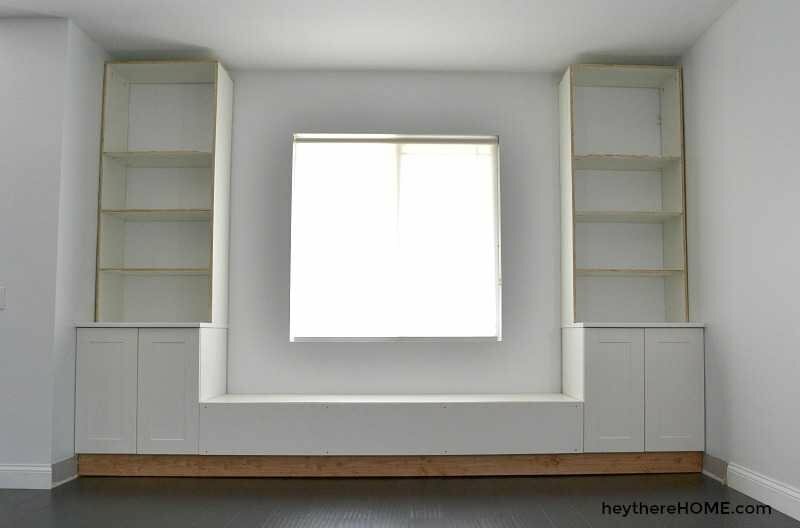 Love built-ins! They just add so much character and up architectural impact in any room. Looking forward to seeing more progress next week!